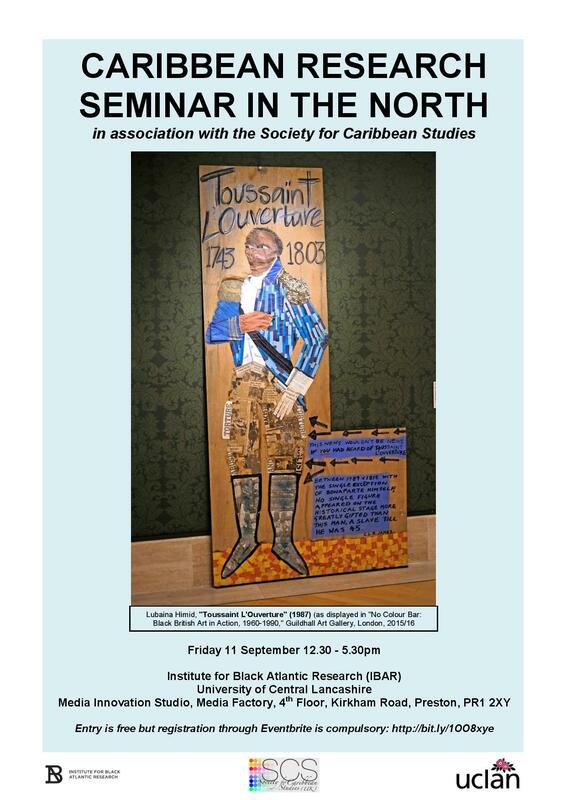 The Carribean Research Seminar in the North is organised in association with the Society of Caribbean studies by the Institute of Black Atlantic Research (IBAR). This year it is being hosted by the University of Central Lancashire (UCLan). Registration is free but compulsory. Register your attendance with a ticket from Eventbrite. For all other queries please email Dr. Raphael Hoermann rhoermann@uclan.ac.uk with CRSN as subject. A reservation will be made at a reasonably-priced local restaurant for those wishing to attend dinner after the seminar. Please contact rhoermann@uclan.ac.uk for booking, and with any other enquiries, including dietary requirements.